"In Shadows," new work by Tate Foley is on view through Feb. 9 at the Bolivar Gallery at the University of Kentucky. Foley, an assistant professor in the Department of Art, Design and Art History in Webster's Leigh Gerdine College of Fine Arts, teaches printmaking, including introductory courses, alternative lithography, and the mixed-media course art and text. He also oversees the BFA Thesis course. You can see Foley's work at http://www.tatefoley.com. Visit Webster's Department of Art, Design and Art History here. 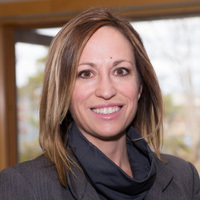 WINS director Kim McGrath presented “Women in Leadership: Candid Conversations with Positive Disruptors,” at the Association of International Education Administrators (AIEA) conference last month. McGrath and her co-presenters facilitated a discussion around the challenges and opportunities facing women and leaders in higher education. More than 60 professional administrators and leaders attended the session on Jan. 21. McGrath presented with Carrie Wojenski from SUNY Albany, Kris Holloway from CISabroad and Jennifer Engle from Loyola University Chicago. The WINS (Webster International Network Schools) program creates partnerships between Webster University and U.S. universities to provide access to Webster's international campuses on four continents. The program allows full-time, degree-seeking students of affiliated U.S. universities to study abroad at one of Webster's international campus locations and allows for collaborative program development amongst partner institutions. 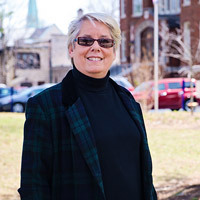 Linda Woolf, professor of Psychology and International Human Rights in the College of Arts & Sciences, presented at the 41st Annual National Institute on the Teaching of Psychology in St. Pete Beach, Florida in January. Woolf's presentations included a paper co-authored with Webster psychology professor Michael Hulsizer, "Teaching ethics: Moving beyond the Code"as well as "What does my neighbor need to know about psychology?" by Woolf and Sue Frantz of Highline College. Woolf also published a review of the book, "Mothers of massive resistance: White women and the politics of white supremacy" in Psychology of Women Quarterly. Learn about Psychology programs at Webster here. Ernest Boakye, Librarian at Webster University Ghana Campus, recently published "Are users satisfied with resources and services? The case of Webster University Ghana Campus Library" in Library Philosophy and Practice Journal. 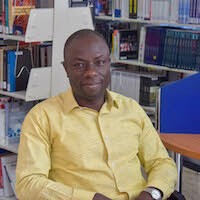 Boakye's study aimed to determine the level of library users’ satisfaction with resources and services. The findings showed that users were satisfied with library collections, services, and knowledge of library staff. However, users were not satisfied with the library’s physical facilities. The study recommends extended opening hours, improved internet access, provision of additional readings and discussion rooms and computers.